No matter what you're celebrating, the birth of a child, kindness of a friend, the closing of a business deal or showing appreciation... Celebrate any occasion or brighten any day of the week with a colorful bouquet of fresh flowers! Don't they deserve a day that's all about them? Call Willow Branch Florist of Riverside or order flowers online today. 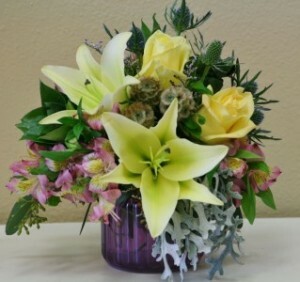 These flowers exude elegance without extravagance, this magnificent bouquet of flowers features a gorgeous blend of pale yellow roses, lilies, blue thistle, dusty miller and more favorites in a classic jar of translucent purple. The effect is stunning! 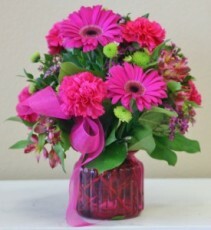 Bold Jewel tones are a beautiful way to brighten someone's day! 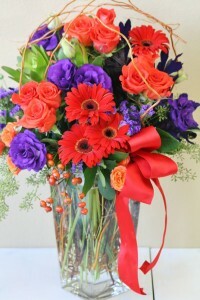 This is a large CUSTOM arrangement of orange, purple, and red upgraded blooms and is sure to make that special someone smile when it comes through the door! Order flowers online or give our professional florists a call at our flower shop to put together a custom arrangement just for you! This bouquet of flowers is a CUSTOM FLORAL ARRANGEMENT that is over 3ft tall, is all premium flowers and is designed for a superstar! 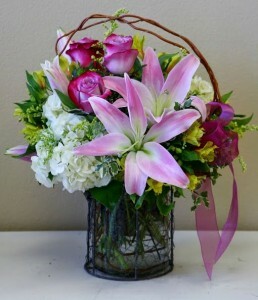 This arrangement was originally created for one of America's most famous super models and is sure to impress the superstar in your life! 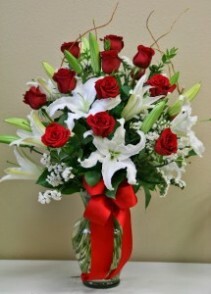 Give our flower shop a call or order this bouquet of flowers online for the superstar in your life today! 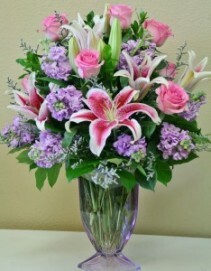 This arrangement is perfectly romantic and heavenly scented. 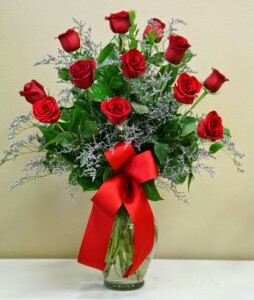 Call our professional florists at our local flower shop or order these flowers online to make your loved one's day! 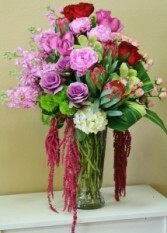 This bouquet is made of one of the world’s most easily recognized and loved flowers! Like many flowers, different colors of tulips also often carry their own significance.The meaning of yellow tulips has evolved somewhat, from once representing hopeless love to now being a common expression for cheerful thoughts and sunshine. 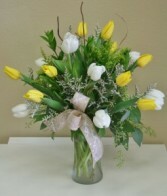 White tulips are used to claim worthiness or to send a message of forgiveness. 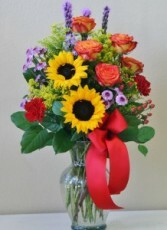 Order this arrangement and send some sunshine today! 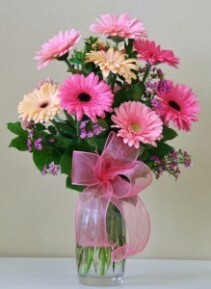 A lovely arrangement of Gerbera Daisies in shades of pink. Wondering what to give the someone special? How about a rainbow? 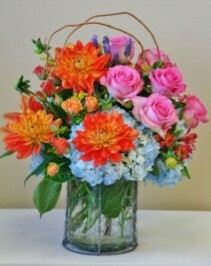 Seems nearly every shade of the spectrum bursts from this colorful arrangement of flowers! It's arranged in a decorative vase that can be used as a candle holder for years to come! 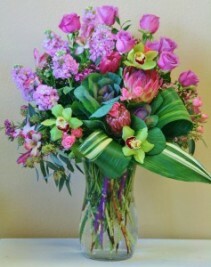 A multitude of spring flowers in joyous vibrant colors! 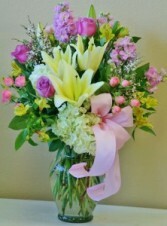 These flowers are the perfect pick me up in shades of pink white and yellow. Call our local flower shop in Riverside or order this beautiful arrangement of custom flowers online today! 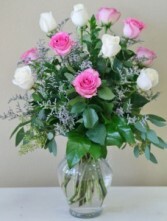 Even if she's already in a good mood, this charming and cheerful bouquet of flowers will boost her spirits to the sky. 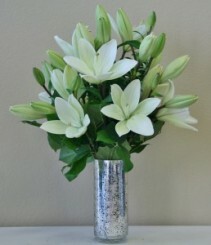 White lilies, yellow cymbidium and yellow mini roses in a stylish white ceramic vase - these flowers are simply irresistible! 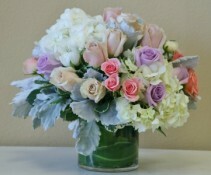 A modern compact arrangement in pastel colors including, Roses, Mini Roses, Hydrangea, Dusty Miller and more! 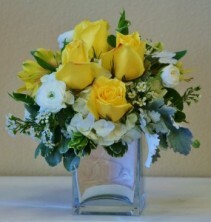 The yellow and white flowers in this "Sweet Smiles" bouquet is sure to make that special someone beam from ear to ear! Browse Willow Branch Florist of Riverside's Best Seller's for great ideas when you want to send flowers to someone special. 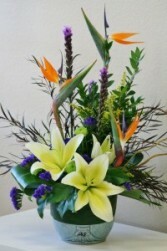 See what flowers are trending in the Riverside area. No matter what your occasion, these best selling flowers are perfect for any occasion. If you need a flower delivery in Riverside take a look at these best selling flower arrangements and order flowers online or give our professional Riverside Florists a call at Willow Branch Florist of Riverside and we can help guide you in the perfect floral purchase for your special occassion. If you want to send flowers around the corner or across the country, Willow Branch Florist of Riverside can help! 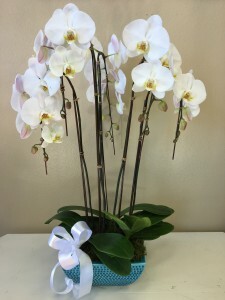 Whether it's wedding flowers, funeral flowers, anniversary flowers, birthday flowers, or if you just want to make someone smile, our florists in Riverside, CA can help you with the perfect gift. 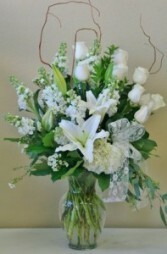 Willow Branch Florist of Riverside is your local Riverside Florist with beautiful flowers , flowers and more flowers that are arranged by professional florists here in Riverside that hand delivers to your doorstep in Riverside ca Call our florists at our flower shop in Riverside CA or order flowers online today! 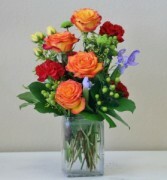 You can choose from our selection of flowers online or stop in to our local Riverside flower shop and check out our selection of fresh flowers in store! Above are some of our popular arrangements of flowers. Do you have favorite flowers or colors? No problem, just give us a call to see if we have the flowers in store! 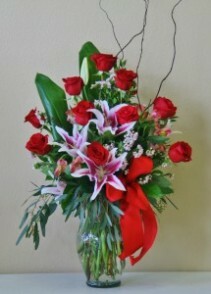 We can even order specific flowers in especially for you!